The Lowdown: Charlize Theron as MI6 agent Lorraine Broughton is this summer’s real wonder woman—John Wick director David Leitch delivers bone-crunching fights and adrenaline-fueled action. Forget Wonder Woman. This summer’s most kickin’ action heroine is Lorraine Broughton of Atomic Blonde, perfectly embodied by a ferocious Charlize Theron. 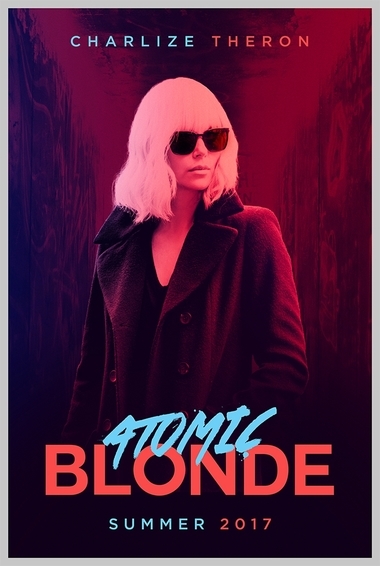 Set in Berlin in 1989 shortly before the Wall came down, Atomic Blonde tracks MI6 spy Broughton as she embarks on a mission to track down the so-called List—a literal list of every Soviet field agent in operation. Bookended by a post-mission interrogation of Broughton by her MI6 boss Gray (Toby Jones) and his CIA partner Kurzfeld (John Goodman), Blonde‘s bloody tale unfolds at quicksilver speed. And very bloody it is—make no mistake, director David Leitch (John Wick) ensures Blonde earns its R rating. 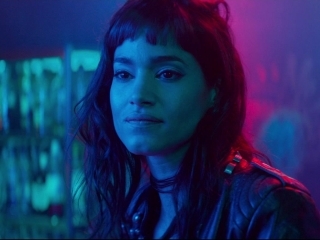 Boasting a soundtrack loaded with ’80s synthpop, a crack cast that also includes a sizzling James McAvoy and Sofia Boutella, and gonzo action scenes, Blonde is the hip ride of the summer (take that, Baby Driver). Based on the graphic novel The Coldest City (by Antony Johnston and Sam Hart), Leitch employs a storytelling style that suggests a John le Carré adaptation filtered through a vintage MTV mentality (in the best sense possible). Taut and toned, Theron delivers convincing fisticuffs whether fighting male or female. Her opening scene—bruised and lacerated in an ice bath—sets the tone for her brutally visceral performance. As she tussles both in and out of bed with mysterious Delphine (Boutella, Star Trek Beyond, The Mummy), bonds with rascally fellow spy Percival (McAvoy), and fends off a small army of enemies trying to kill her, Broughton defines icy toughness. As the search for—and eventual protection of—Spyglass (Eddie Marsan), the Stasi defector who literally carries the List in his memory bank intensifies, Blonde‘s plotting gets a bit messier than it need be. But the whole mousetrap will keep viewers guessing as to its characters’ true motivation right up until the end. 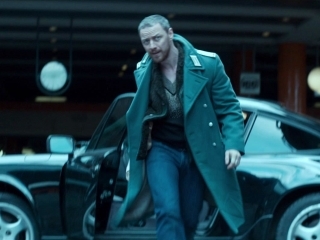 In a summer top heavy with disappointments, Atomic Blonde‘s pulse-raising chase sequences and the dynamite Theron/McAvoy pairing make the film an easy highlight. For whatever reasons, Atomic hasn’t caused a fission reaction at the box office (I suspect poor timing—the decidedly adult tone of the film makes it more suitable for fall). Although it’s a shame not many have caught it on the big screen, it’ll almost certainly find favor on the home video market.